Nutrition; oats and buckwheat provide slow release carbohydrates that will keep you full for longer. The protein from the powder and the seeds will also help keep you full and help to build and sustain muscle. 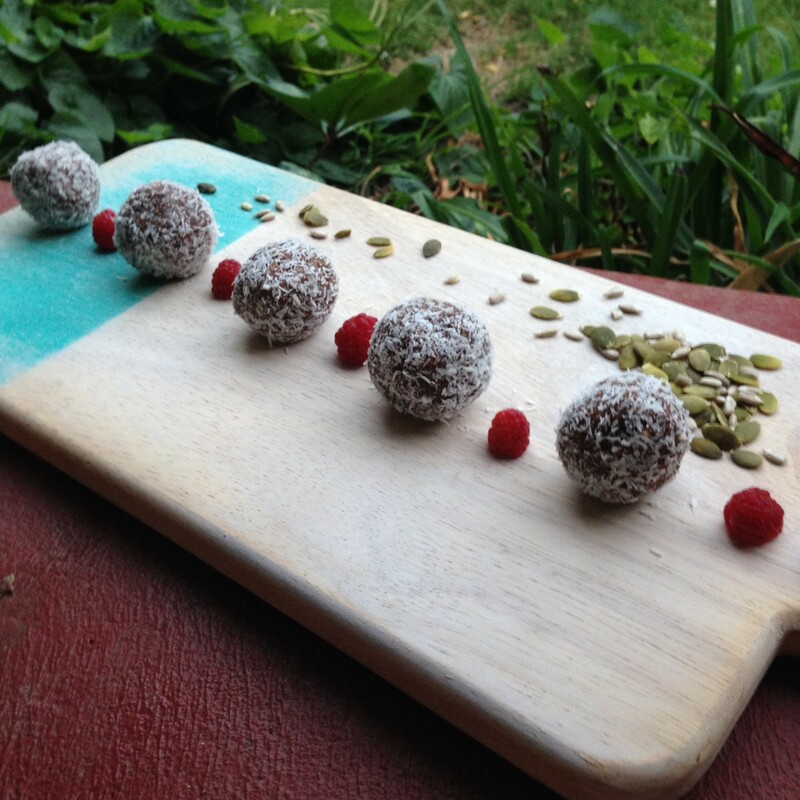 These bliss balls are vegan friendly and can be made gluten free by replacing the oats with rolled quinoa. 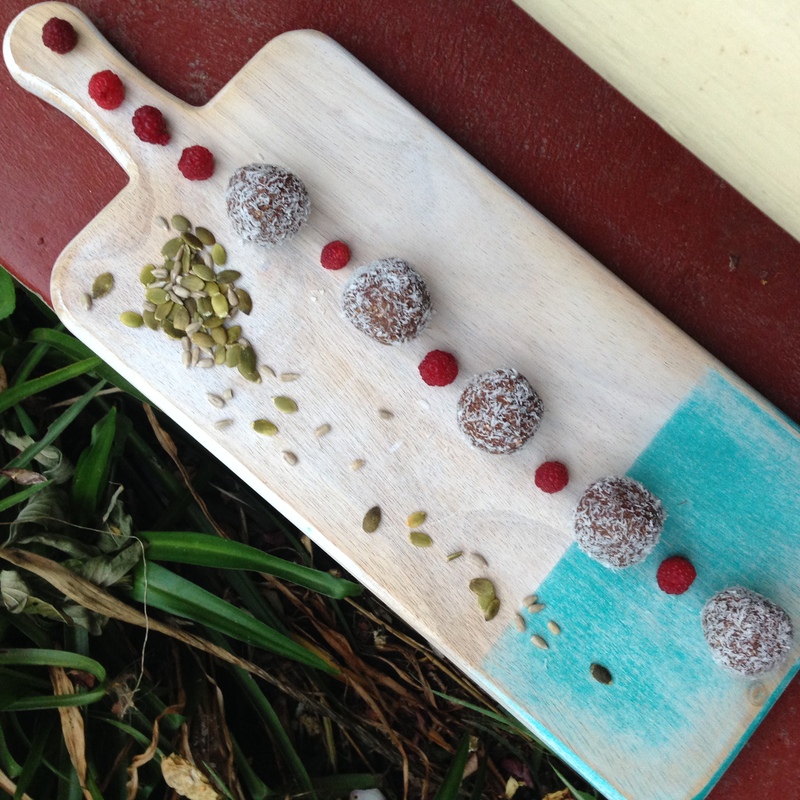 This recipe was made using some lovely ingredients provided by Nutra Organics. Place oats, buckwheat and nuts/seeds in a food processor and process until broken up. Aim for it to still be a little chunky to keep a good texture. Add remaining ingredients and process until a soft, slightly sticky dough forms. Add more almond milk if needed. Divide dough into small, walnut sized balls and roll in extra coconut. We Have used a plant based vanilla protein powder here but you can use any type you like. If you dont have any protein powder you can replace it with 1tbsp stevia and ⅓ cup almond meal or LSA. Rice milk powder gives the balls a lovely creamy flavour but you can omit it and just add less almond milk or alternatively use skim milk powder.